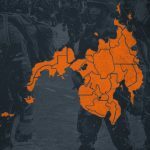 →What happens to local government units during martial law? What happens to local government units during martial law? Local chief executives would have to surrender powers over their units to the national government, but to what extent? MANILA, Philippines – President Rodrigo Duterte declared martial law over Mindanao after a clash between government forces and the Maute group in Marawi City on Tuesday, May 23. What does this mean for local government units that oversee tasks as mandated by the Local Government Code of 1991? It depends on Duterte’s report to Congress which is subject to approval through a majority vote. The report is supposed to outline how Duterte plans to bring about peace and order through the proclamation, including coordination with local government units. Ateneo de Manila University Political Science instructor Arjan Aguirre said that one thing is certain: Local chief executives – barangay captains, mayors, and governors – would have to yield majority of their powers to the national government. These powers include their mandate to order or supervise local counterparts of national agencies such as the Armed Forces of the Philippines and the Philippine National Police to hasten the restoration of peace. For purposes of streamlining relief operations, these agencies could be the Department of Social Welfare and Development, and the Department of Health. 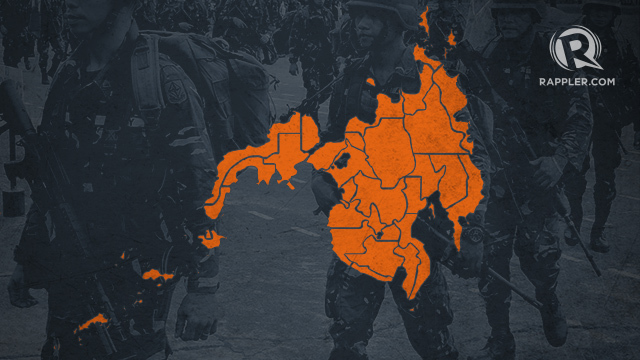 “The theory behind it is that if there is an armed conflict, the local government units cannot handle situations like it on its own,” Aguirre said. Aguirre and Villamejor-Mendoza, however, called on Duterte to keep terms and conditions with local governments within the mandate of the 1987 Consitution. Villamejor-Mendoza predicted that the President will most likely have his way with the law, given a supermajority in the House of Representatives and overwhelming public support that can easily thwart opposing local chief executives. In execution, they both reminded Duterte and the public, that the revised version of martial law does not suspend constitutional rights of regular citizens.